Welcome to our web page relating to Probate Forms in Kettering. We hope you find this information of use. We are a firm who specialise in dealing with probate and estate administration work. At Seatons, we offer a helpful and friendly service with low fees that provide exceptional value for money. Please call us today for a free no obligation chat on 0800 3 10 11 12 or 01536 31690 or use our online enquiry form. Dealing with the estate of a member of your family or close friend can be daunting and confusing and at times can seem overwhelming. Initially, before any probate forms can be completed, it is important to find out who is responsible for administering the estate. If there is a Will this will be the executor nominated in the Will. If there is no Will then the deceased will be said to have died intestate. When this happens the law under the Administration of Estates Act 1925 lays down who can administer the estate, who inherits, and how much. These are known as the Intestacy Rules. The probate forms may seem complex and daunting and in the case of a large estate where Inheritance Tax is payable or there is a family dispute then it is always advisable to instruct a solicitor. We at Seatons will happily help you with the probate forms. Please call us on 01536 276300 for a free no-obligation chat. Probate forms normally consist of two types; firstly an Oath or a PA1 and secondly, the Inheritance Tax forms. The PA1 for is the probate form that is used when somebody makes an application for a Grant of Probate or Letters of Administration in their own name, without using a solicitor. These forms can be downloaded from the internet. What you always need to consider before downloading these forms is whether you want to apply for a Grant of Probate/Letters of Administration in your own name or whether you want to instruct a solicitor to deal with it all for you. Applying for a Probate yourself can be confusing, stressful and time consuming and it is not easy dealing with the hassle of trying to work your way through these forms, often in the process getting worried and stressed. We at Seatons can help you deal with applying for a Grant of Probate. Our fees are very reasonable. Please call us for a free, no obligation chat and quote. There is either an Oath for Executors or and Oath for Administrators. The first for an executor is where there is a Will and the second for an administrator is where there is no Will. The Oath is a declaration to the court providing legal and factual information about the deceased in order to satisfy the court that the person applying for the Grant is legally entitled to do so. Irrelevant of how much an estate is worth, an Inheritance Tax form must be submitted on every application for a Grant of Probate (where there is a Will) or Grant of Letters of Administration (where there is no Will) to the Probate Court. The Inheritance Tax forms are usually either an IHT 205 for small and simple estates or an IHT 400 if the estate is more complicated. If the estate is under £325,000 then the smaller IHT207 form can be submitted and with this a form where the values of the assets and liabilities. It should then be possible to ensure that the estate is not one that is likely to be subject to any inheritance tax. However, great care needs to be taken when completing these forms because although these are forms where inheritance tax is unlikely to be paid there is always a possibility that by going through the form, you might identify a circumstance where you might have to stop completing the form and instead complete an IHT400 form. If the estate is in excess of £325,000 for a single person or £650,000 for a widow, widower or surviving civil partner then the larger and more complex IHT400 form is needed. This form is long and complex and you should seek advice before completing. We at Seatons will happily help you with the probate forms. Please call us on 01536 276300 for a free no-obligation chat. The probate forms used by a solicitor applying for a Grant and someone applying personally are different. Probate forms as such are completed by a solicitor other than the Inheritance Tax forms and the application to the Probate Court consists of simply the Inheritance Tax return and a sworn Oath. This makes the whole probate process in most cases much quicker. 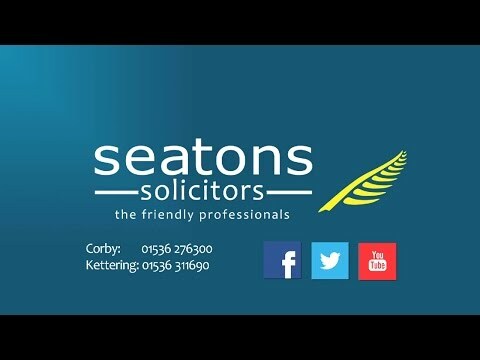 If you are finding the probate forms too complex and the responsibility too onerous then do call Seatons who will be happy to apply for the Grant on your behalf and administer the estate. We at Seatons will happily help you with the probate process. Please call us on 01536 276300 for a free no-obligation chat. For further information please telephone Susan Sorrie on 01536 276300 or email sues@seatons.co.uk for more information and quote “probate forms”. I’m Adrian Chambers and specialise in Probate and Estate matters. We aim to provide our clients with an outstanding legal service.